available for investors of any size or strategy. For your 14 day FREE trial. 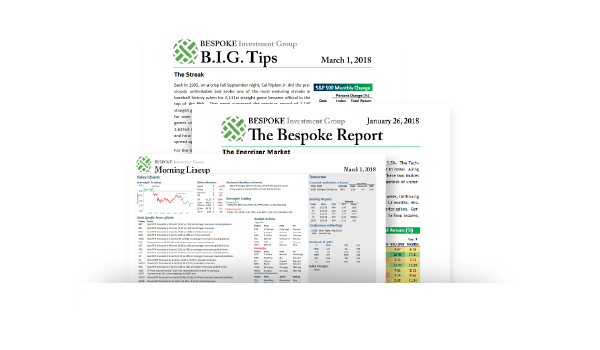 From the outset, our goal at Bespoke has been to provide clients with timely investment ideas that are presented in a way that’s easy to read and understand. It's not a big surprise that our research has developed a large following of both professional advisors and the financial media alike, with our easy to read daily insights, charts, commentary, and more. 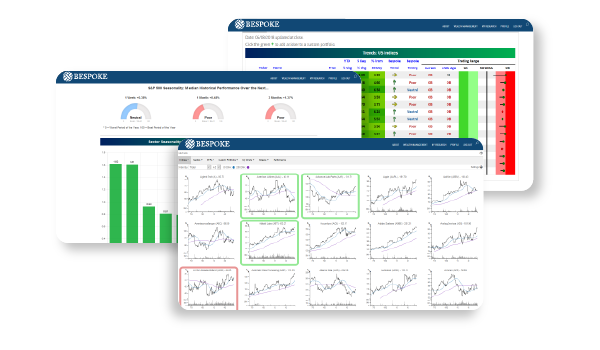 Get access to a rich library of interactive tools to visualize stocks and ETFs, test theories, and screen for notable trends. Designed and built in house, these are some of the same tools that we use for our own research, and we love making them available to the Bespoke community. We've been in the business for a long time, and we know what we're talking about. 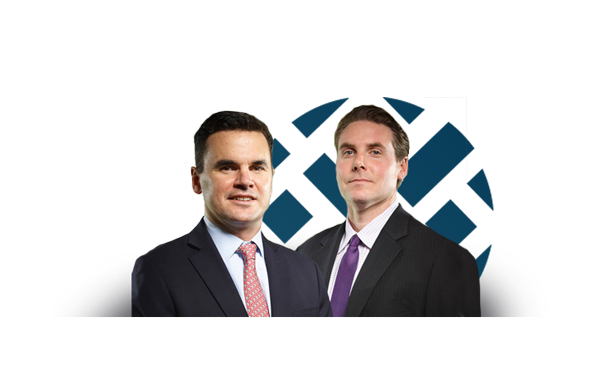 Before starting Bespoke in 2007, co-founders Paul Hickey and Justin Walters worked and studied under the tutelage of famed market strategist Laszlo Birinyi. Since founding Bespoke, we've been making digestible, quality research for clients at all levels. Thousands of people trust Bespoke for insightful, up-to-date research, day in and day out, from the largest global fund managers to individual investors. Start your FREE 14 DAY TRIAL today, and see for yourself!